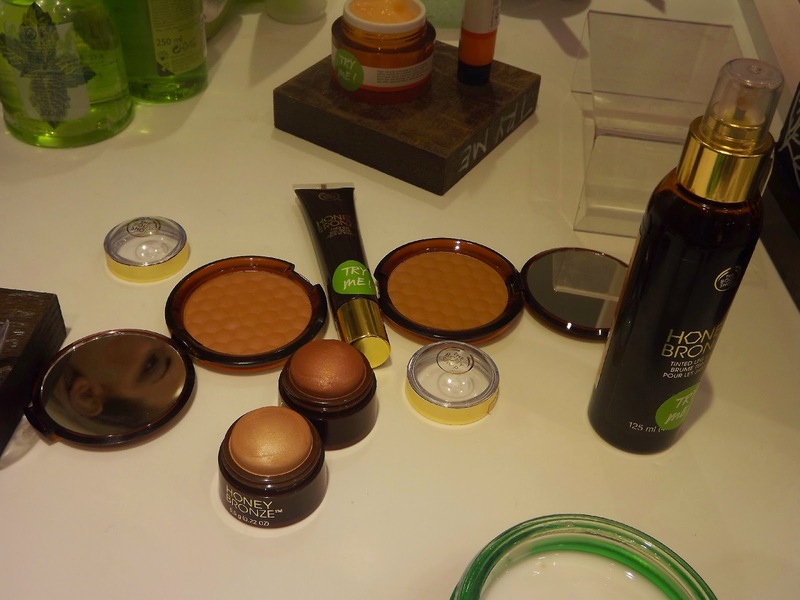 Event | The Body Shop White Rose shopping center, Leeds, UK. 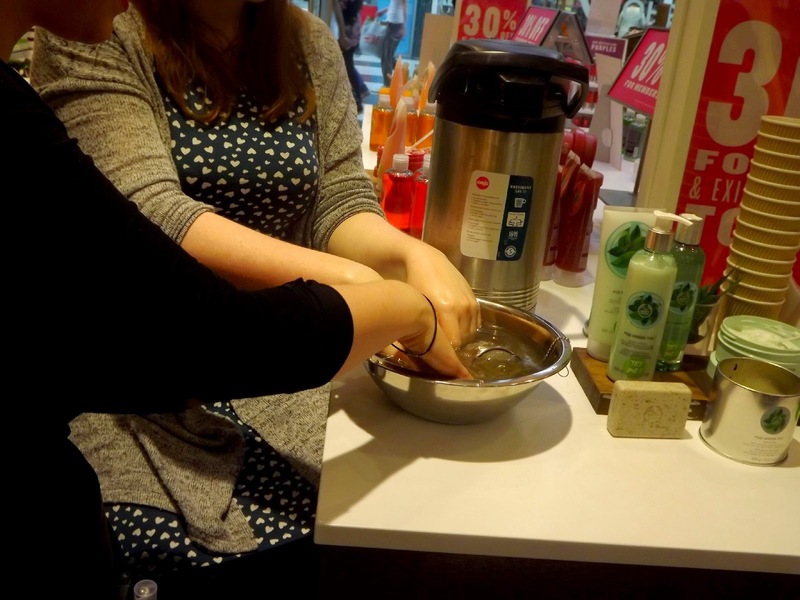 Last week I attended a VIP Blogger event at the Body Shop in the White Rose Shopping Centre, where we were presented with a wide range of their fab new products. Tom & Shannon at the store ran the event & were ridiculously helpful - The knowledge they had on their products was insanely good, and their passions for their jobs was inspiring to see & be a part of. 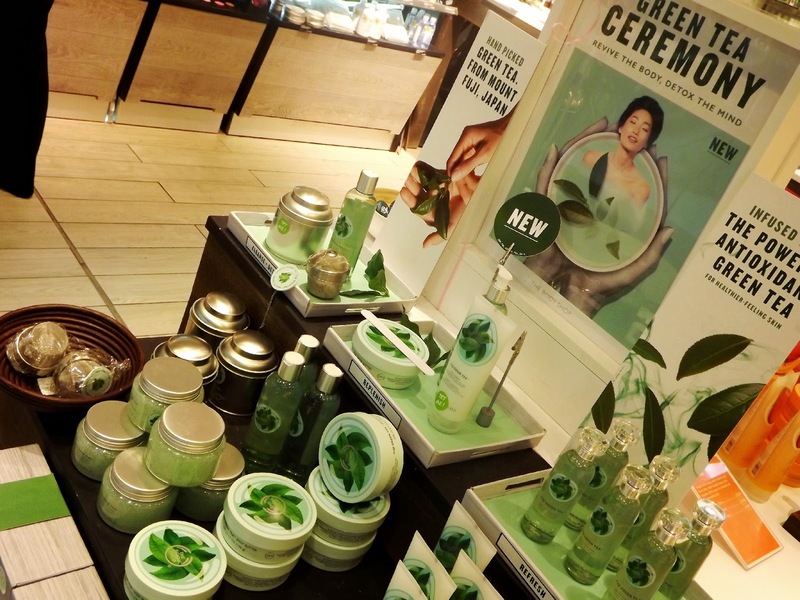 It's no secret that Green Tea is loaded with antioxidants and nutrients, that do you good both inside and out; So it seems only inevitable for The Body Shop to bring out their own range of Green Tea products. 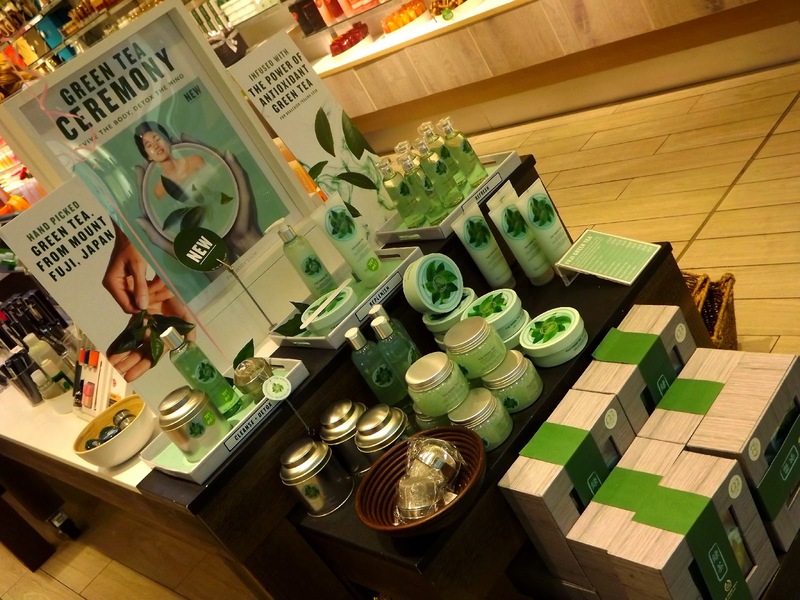 The Body Shop source their Green Tea from Mount Fuji in Japan which is renowned for their high quality, refreshing & revitalising Green Tea, so right from the beginning there were high hopes for these products. The range is divided into three beautifully smelling sections from cleanse & detox, to replenish, and then refresh, and holds a total of nine products. 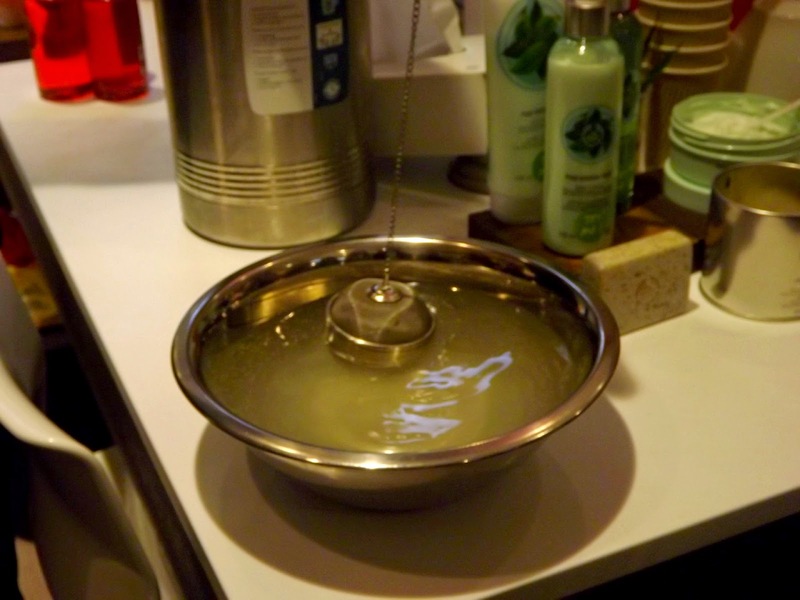 The first cleanse & detox stage basically includes everything you'd use in the bath, so it includes an exfoliating soap, body scrub & a shower gel, however what really caught my eye was the bath tea & infuser. The stainless steel infuser is filled with Fuji Green Tea Bath Tea and popped under the tap as you're running your bath. Quickly the running water infuses your bath with the most delicious smelling scents that help destress & relax the whole body. The second stage is replenishing the moisture back into the skin. This section includes a body butter, body lotion & a body sorbet, all of which have a similar level of moisture however the texture between the three is very different. I actually ended up buying the Fuji Green Tea Body Sorbet because of its' super light and fluffy consistency, it's not like anything I've ever tried before, but felt like an absolute dream to apply. The third & final stage is to refresh with the Fuji Green Tea Eau De Cologne, a very awakening, unisex scent. It's a very fresh & light scent with notes of green tea (obviously) & hints of jasmine and bergamont - An all round delicious scent! 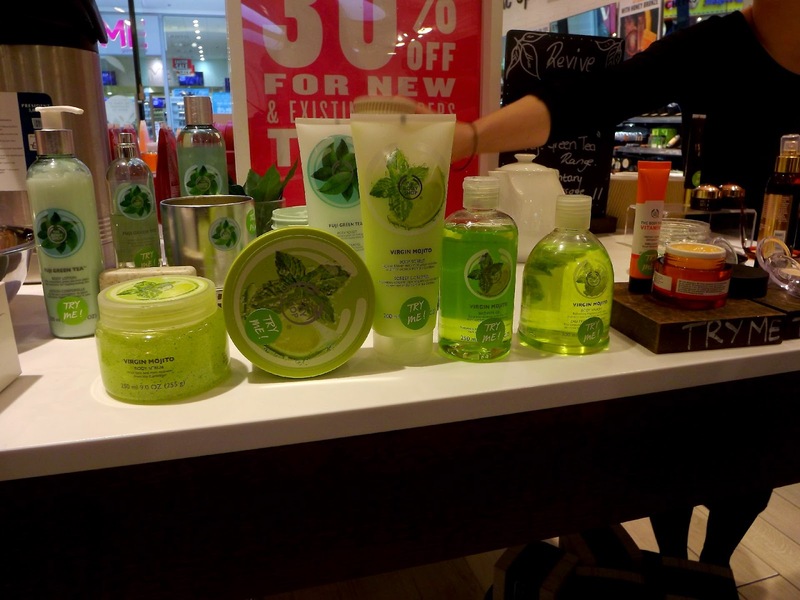 Another newie (and a goodie) from The Body Shop is their Virgin Mojito range & let me tell you, it's absolutely stunning & probably my favourite of the new scents! 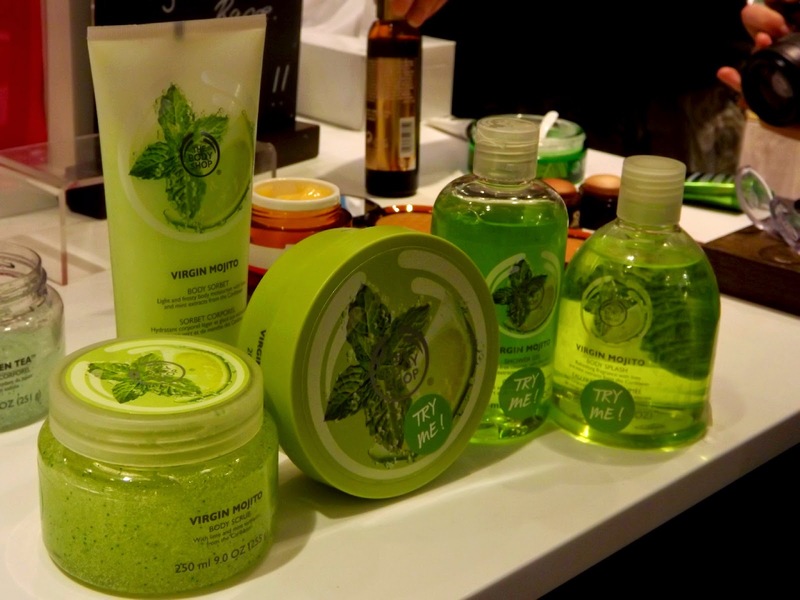 Personally I'm not a mojito lover, I can't be doing with mint in my drinks, however the scent The Body Shop have produced for this product range is gorgeous! Strangely some products seem to be mintier than others so it's not a consistent scent however whichever way the mint to lime ratio is, they all amazing. They have a couple of the usual products in the range such as the body scrub & body butter, but something I've not seen before is the body splash, a perfume type product that applies exactly how it says on the tin and smells so delicious & zesty. I feel like I struggle when it comes to bronzing & fake tanning. I just haven't got the knack for it & I'd much rather be pale than have streaky brown lines all over myself. Saying that, I'm actually pretty tempted by a few things from the honey bronze range. The Body Shops' bronzing powder really caught my eye, even though the two newer shades are much darker, it's the paler products that I really liked. The honey bronze bronzing powder is a super pigmented matte powder which will easily give that sun kissed glow & with a whopping 6 shade range, you're bound to find the perfect shade. 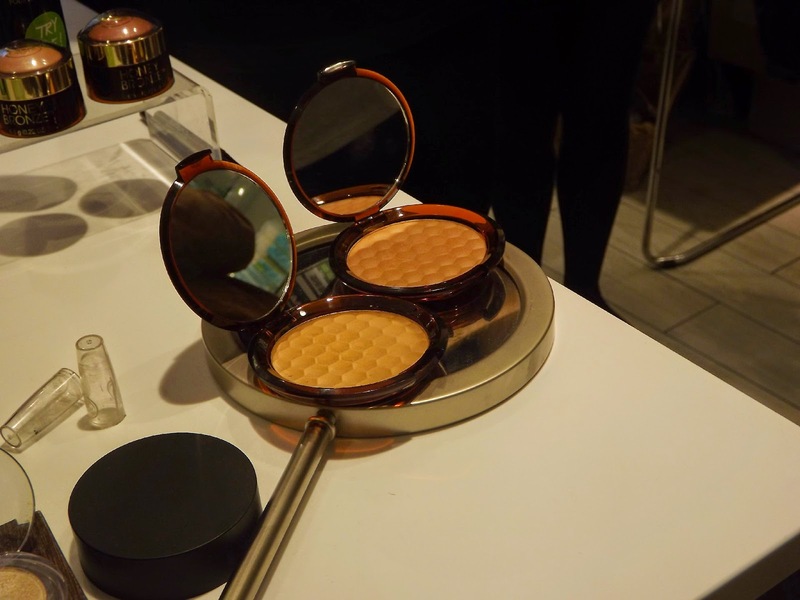 They've also brought out a new highlighting product, due to land in stores next month, which very much reminds me of the eos lip balms in the way that they're applied. The product is applied in the tub & goes over the cheek bones with one quick swish! The darker shade was way too dark for me, but the lighter product is amazing, it's the perfect amount of shimmer to illuminate my complexion. Another new product to the honey bronze range & out next month is the leg tint, which at first applies quite dark but blends beautifully to reveal a tanned yet still natural glow. I love the idea of this product because even if I am tanned (which is very rarely) my legs never seem to catch up with the rest of my body, so this would be perfect! Once again a huge thanks goes to Leah, the manager at The Body Shop, White Rose & also to Tom & Shannon for running the event. Damn you for persuading me to spend my pennies,my bank balance is doing me no favours at the moment... But I had a brilliant time! Last month I was lucky enough to be invited down to the Beauty Matters salon in Garforth for their grand reopening & to also take a sneaky peak at some of their non surgical procedures. I'm super grateful because it was a brilliant night and I was gifted with a cute purple goodie bag containing discount vouchers & this amazing Environ AVST 1 moisturiser. Environs' concept behind the AVST moisturisers is that they are to be used as a step up system, increasing the vitamin & antioxidants one level at a time. The AVST 1 is their introductory moisturiser, with the lowest (yet still substantial) level of vitamin A & C in - It's recommended that you use two bottles of the AVST 1 before moving up to AVST 2 and going up through the ranks. I've been using the AVST 1 moisturiser for the past three weeks now after cleansing. I use two pumps of the solution on the morning & two on the night... And let me tell you I've noticed such a difference already! 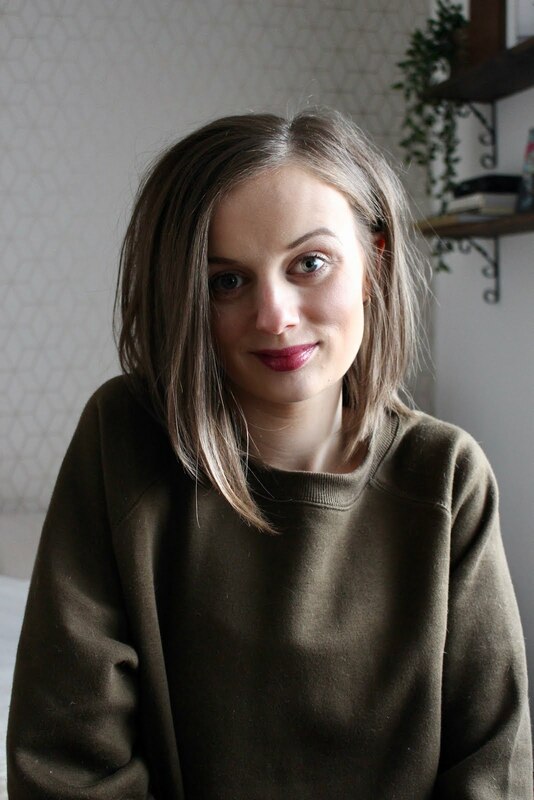 The biggest difference i've noticed is how balancing the moisturiser is, my skin appears so even & plumped, it's made me super confident on those no makeup days. My skin appears so radiant now, even after such a short period of time, but it's been absolutely brilliant! AVST is such a nourishing moisturiser & it sinks into the skin instantly, the only downside is the smell - I can't quite put my finger on what it smells like but it's not great... My boyfriend even scrunches his nose up if I get too close! But I'm willing to sacrifice that for such an amazing product! Just don't tell him that. I received the Environ AVST 1 free as part of a goodie bag from the event however I am going to be more than happy handing my money over when this bottle ends. I'm actually quite excited to make my ways through the AVST stages! Have you tried this or any other Environ products before?